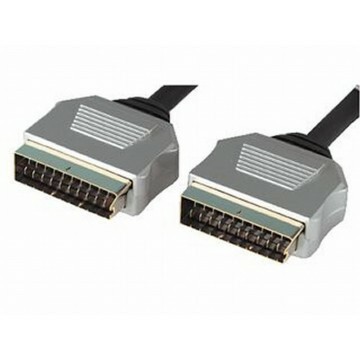 With Metal Ends (not plastic as most scart cables have) Gold plated Connectors and Flat Oxygen Free Copper Cabling This scart cable isn t like your normal scart cable. As soon as you pick it up just from the weight you can feel the quality. Looking at the ends you can see that they re not going to fall to bits. OFC cable means you get less loss and therefore a better picture! Recommended to connect DVD Players/DVD Recorders/Sky Digital etc to you TV. Snug fit - Quality metal ends means the cable fits well and doesn t fall out no matter how long you have the cable.